BELLIZE CITY, Wed. Dec. 2, 2015–Yesterday, Tuesday morning, media representatives gathered outside the courtroom of Supreme Court justice Courtenay Abel to cover the case brought against Prime Minister Dean Barrow, the Minister of Finance, over his spending of over 230 million dollars from the Petrocaribe fund, by the Cayo North East area representative Hon. Julius Espat, the chairman of the House of Representatives Public Accounts Committee. 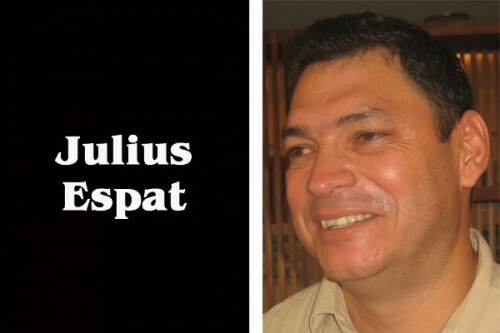 The surprising news to come out of the courtroom of Justice Abel, however, is that Espat had withdrawn the lawsuit. Today, Amandala spoke to one of the attorneys who were initially involved with the case, Andrew Marshalleck, SC. Marshalleck told us that he had come off the case before Espat decided to withdraw it from the court. “The law has been changed twice and the ground that the case encompassed has been overtaken by the legislative changes,” Marshalleck added. “Besides that, the voters have spoken on November 4, and it is clear that they don’t have a problem with how the Prime Minister has spent the Petrocaribe funds. So there was no need to continue with the case,” Marshalleck further commented. The government of Prime Minister Dean Barrow went against massive outcries from many sectors of the society, including the Belize National Trade Union Congress (BNTU), the Chamber of Commerce and Industry, the churches and a range of other stakeholders, when it passed its amendments to the Petrocaribe Loan Act, retrospectively legislating the Petrocaribe spending that was inconsistent with the Finance and Audit Reform Act. A violation of the Finance and Audit Reform Act carries a $10,000 fine and imprisonment for up to two years. Under the amendments that the Barrow Government rushed through the National Assembly, the law as it is presently constituted allows government to bypass a request for approval from the National Assembly to spend the Petrocaribe funds on whatever it feels like, and in any amount it deems necessary. The Alba Petrocaribe agreement allows the Belize Government to buy fuel from the Bolivarian Republic of Venezuela at a concessionary price, with payment being made at a future time at a fixed one percent interest rate.